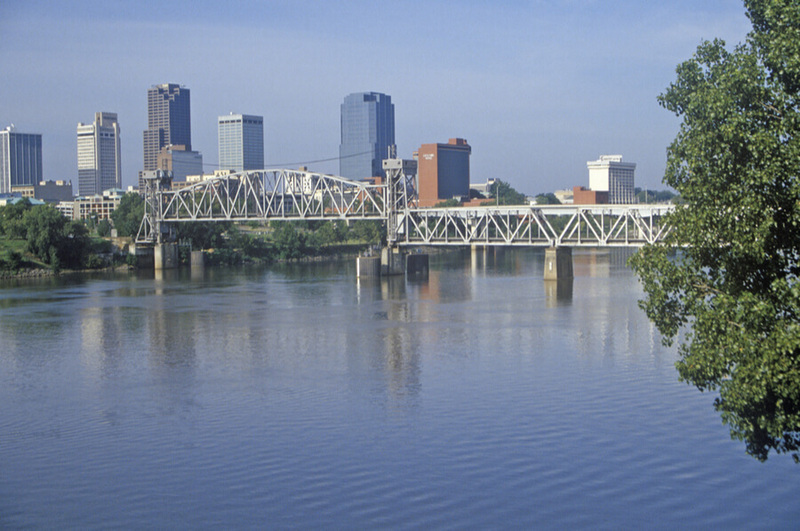 The BridgeWay, located in the city of North Little Rock, Arkansas, is a mental health treatment facility which provides services to a wide range of persons including children and adults dealing with substance addiction, behavioral, emotional, and mental health problems. The facility was established more than 30 years ago and has connected with communities throughout the state of Arkansas and beyond. Upon arrival at the center, potential patients are assessed by an experienced mental health professional which is done in order to provide and utilize information which may useful for the patient’s treatment. Additionally, the facility understands the uniqueness of mental health issues and its nature to occur across a spectrum and therefore offers individualized treatment services designed to suit the needs and wants of each patient. This is achieved with the help of an experienced and well-trained treatment team consisting of master’s-level clinical therapists, board-certified adolescent/child and adult psychiatrists, nurses, case, managers, and mental health associates. These professionals also help people reunite with their families and provide the support needed for the clients to lead productive lives. Among the levels of care, the center offers an Intensive Outpatient Program (IOP), inpatient services, outpatient treatment, and a partial hospitalization program. The center is nestled within the hills of Central Arkansas and maintains a quiet, cozy, and patient-friendly environment. The facility provides semi-private accommodation, with two patients sharing a room, and a shared bath is situated between two suites. The patients undergo various clinical evaluations and are oriented by the clinical staff upon arrival. Patients going through detox are monitored constantly and are accommodated in a hospital setting. The menu at the facility is designed by a registered dietician and the meals are prepared by a cooking team and served in different dining areas throughout the facility. The inpatient treatment is available to children, adults, and adolescents, and is designed for people looking to overcome acute psychiatric problems including schizophrenia, depression, and chemical dependency problems. The program is overseen by a skilled psychiatrist and utilizes a multi-disciplinary treatment approach. Clients are involved in therapy, health and nutritional education, psychiatric and physical evaluations, medication management if necessary. The Partial Hospitalization Program (PHP) is an intensive day treatment which caters to persons with addictive and behavioral issues and also acts a step-down program from inpatient treatment. The program is less restrictive than the inpatient treatment and operates under the direction of a skilled psychiatrist. The center offers an Intensive Outpatient Program (IOP) as an effective transition program from inpatient/partial hospitalization treatment or an enhancement to the outpatient program. The center provides two separate IOP programs—one for persons dealing with mental health issues and the other for persons suffering from chemical dependency. The former is individualized and requires patients to attend educational lessons and group therapy 4-5 days per week, four hours a day for up to six weeks while the latter requires individuals to partake in AA meetings, group therapy, and educational sessions for the same amount of time. The Bridgeway costs vary greatly and are subject to change, as it is dependent on the type of treatment and level of care a client requires. The amounts range from $80 for an IOP session, $800 for a detox and inpatient program per day, $2,400 deposit to cover the first three days after admission, and more. The facility accepts most insurance plans such as Medicare, Tricare, and Medicaid. Clients are advised to contact the facility on more information about payments and admission. The treatment center is fully accredited by the Joint Commission. The facility offers different mental health services to individuals of all ages (children. Adolescents, and adults). These inpatient services include mood disorders, eating disorders, depression, PTSD, and more. The facility also offers family therapy as it is believed to be an important part of the program. Group therapy is also offered but treatment is individualized. Clients registered into the residential program are allowed visitation, but only by immediate family members and only two visitors maximum is allowed at a time. With over thirty years of experience, the facility is well versed in the treatment of substance abuse and mental health addiction. The facility does not offer 12-step but in replace of that, but clients can find a great intensive outpatient program and care for dual diagnosis here. Clients seeking a facility that offers a proper transition into dual diagnosis and in need of medical detox will find Bridgeway to be a good option.